BRAC University always believes in the importance of helping young people become entrepreneurs as innovation and energy of youth are the building blocks of small-business success. 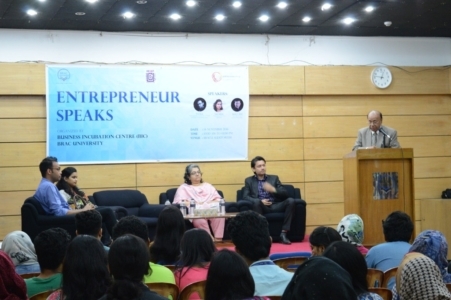 With this view, Centre for Entrepreneurship Development (CED) and Business Incubation Centre (BIC) of BRAC University jointly organized an entrepreneurial development and motivational programme titled â€œEntrepreneur Speaksâ€ on 14 November 2016, Monday from 10:00 AM to 01:00 PM at BRACU Auditorium (BRAC University, 66 Mohakhali, Dhaka 1212). 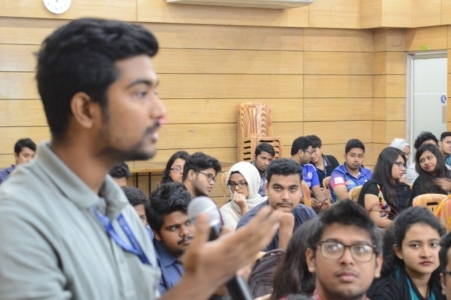 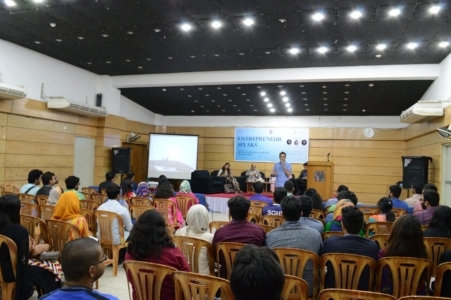 The main purpose of such entrepreneurship development programme was to widen the base of entrepreneurship through sharing the path to success by renowned young entrepreneurs of Bangladesh with BRACU graduate students/alumni who would like to start their own venture and aspire to become successful entrepreneurs. 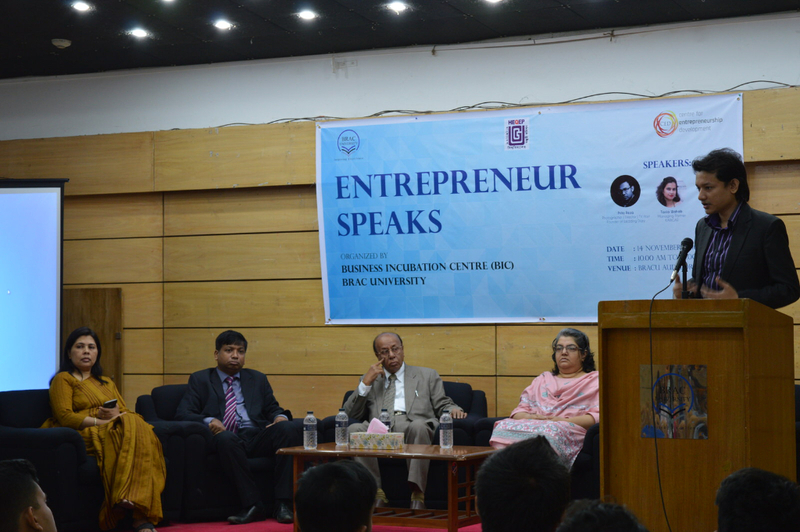 The inauguration of the programme was presided over by Dr. Mirza Azizul Islam (Professor, BRAC Business School, BRACU) as the Chief Guest and the Moderator of the entire programme was Mr. Shamim E. Haque (Assistant Professor, BRAC Business School, BRACU). Three (3) of today’s most eminent young entrepreneurs attended the programme and presented advice about working on innovative ideas, nurturing talents, doing the market research, determining the product/services, devising business plans, starting a new venture, running a business, their industries, etc. 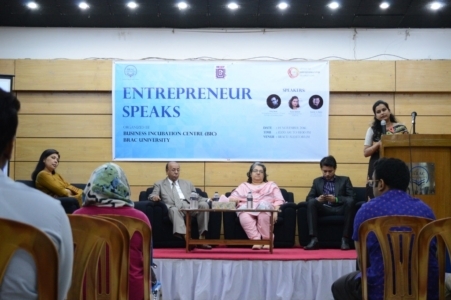 The Guest Speakers of the programme were: Mr. Prito Reza (Photographer, Director, TV Host, Founder of Wedding Diary), Ms. Tania Wahab (Managing Director, KARIGAR), and Mr. Biplob G. Rahul (Founder & CEO, eCourier.com.bd). As the â€œEntrepreneur Speaksâ€ programme followed the approach to learn and be inspired by the experts, over 120 BRACU students attended the event and gained motivations, knowledge, and inspirations from the speakers. 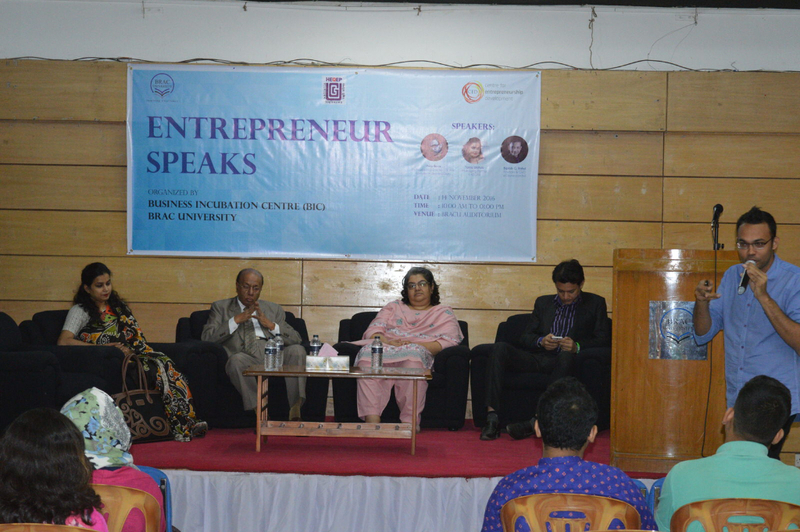 In the question-answer session, participants asked various questions related to starting a new venture, and the speaker shared their experiences on initiating essential steps of becoming a successful entrepreneur as well as overcoming various entrepreneurial challenges in the context of Bangladesh. The programme became lively by the active participation of renowned entrepreneurs, BRACU students, alumni, faculty and CED officials.